Catholic interest in the Enneagram persists. The Enneagram is a nine-sided figure that looks like a theorem straight from Euclid’s Elements. 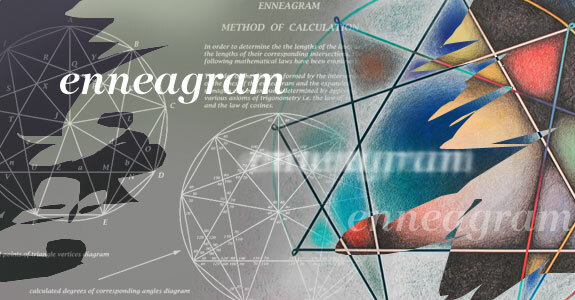 Instead of teaching basic mathematical facts, however, the Enneagram purports to teach a path to enlightenment, a path that Church leaders find worrisome. In 2000, the US Conference of Catholic Bishops prepared a draft statement, “A Brief Report on the Origins of the Enneagram,” cautioning against its use. It was never published, but it can be found on the website of the National Catholic Reporter. In 2003, the Vatican’s document “Jesus Christ, Bearer of the Water of Life” discussed the dangers of New Age spirituality, and mentioned the Enneagram in its glossary. In 2004, the USCCB Committee on Doctrine released “Report on the Use of the Enneagram: Can It Serve as a True Instrument of Christian Spiritual Growth?” for the conference’s internal use. Father Thomas Weinandy of the USCCB’s Secretariat of Doctrine provided that report for this article. Last February, Archbishop Thomas Wenski of Miami explained Catholic teaching on the Enneagram and related subjects in an online column titled, “New Age is Old Gnosticism.” He wrote that the Enneagram is a “pseudo-psychological exercise supposedly based on Eastern mysticism, [which] introduces ambiguity into the doctrine and life of the Christian faith and therefore cannot be happily used to promote growth in an authentic Christian spirituality.” The archbishop’s column is the clearest available teaching for the laity on this topic, and a neat summary of the bishops’ reports. The Enneagram redefines sin, among other fundamental concepts, by simply associating faults with personality types, which is particularly tempting in a cultural climate of irresponsibility and narcissism. It encourages an unhealthy self-absorption about one’s own “type,” so that the type is at fault rather than the person. This gives rise to a deterministic mindset at odds with Christian freedom. “I teach the Enneagram from a spiritual point of view,” Quintrell said. “The Enneagram has pre-Christian as well as Christian roots.” She claims that “you can trace the Enneagram to the Desert Mothers and Fathers,” citing the work of Father Richard Rohr to back up this statement. Quintrell described the nine personality types included in the Enneagram as reflecting the divine character. She asserts that she Christianizes the Enneagram, saying it reflects people in God’s image as well as acknowledging their brokenness. Zuercher acknowledges the controversy surrounding the Enneagram, and is aware of the US bishops’ 2000 document on the subject. Father William Meninger of St. Benedict’s Monastery in Snowmass, Colorado conducts retreats on the Enneagram and the Centering Prayer. Last year, he led Enneagram workshops in Oregon at St. Mary’s Catholic Church in Corvallis and Queen of Peace Catholic Church in Salem. In February, he gave a talk about Enneagram personality types at the Washington Theological Union, a Catholic theology and ministry school in the nation’s capital. Meninger has taught the Enneagram since 1990. “I learned it from lecturers and went to qualified workshops. I learned about it in Israel,” he said. Meninger noted that he’s taught it at Episcopal and Methodist churches, as well as secular venues. Meninger commented that he doesn’t want to defy the US Catholic bishops, though he doesn’t agree with them. As a Cistercian, Meninger said, “I have a vow of obedience I keep; I will follow [the US bishops’] ultimate decision.” He added that the Canadian bishops don’t forbid teaching the Enneagram.